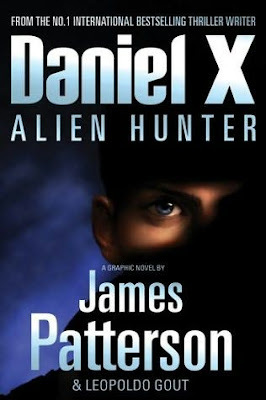 Daniel X is a series of books, graphic novels and manga comics penned by bestselling thriller writer James Patterson. The graphic novel, Alien Hunter, is the second in the series and was released in 2008. Daniel is a humanoid alien with a series of special powers whose parents were killed when he was young. The books follow his various efforts to track down The Prayer, the alien who killed his parents, and to adapt to living as an alien in the human world. Daniel is also in possession of The List, a directory of alien outlaws living on Earth. Alien Hunter in particular follows his efforts to track down the numbered aliens on the list and return them to captivity. It is entertaining but is mainly aimed at younger readers. The graphic novel's art, by Leopoldo Gout is vibrant and varied, giving real colour to Tokyo where much of the plot is located. Daniel's battles with the aliens are well portrayed and lively and Patterson's crafting of a more substantial story around these encounters is admirable and well realised, providing some much needed depth to the main character. It does feel a little Pokemon 'gotta catch 'em all' like, from time to time. Daniel moves from one alien to the next, always with the 'big alien' in the background, lending the novel feelings of deja vu and more than a hint of a typical videogame structure. It's never boring but occasionally it does feel a touch repetitive. Although Patterson's back story parts are interesting, they're hardly as exciting as Daniel turning himself into an Elephant, for example. It was reported in 2008 (before the books were published) that Regency had bought the rights to Dangerous Days, the first novel. Since then though, like so many projects, the film appears to have entered development limbo, although IMDb still have it labelled as a 2010 release. It is still officially a studio property but we wouldn't hold our breath on this one. It's a cop out, but the roles of Daniel and his friend Dana would probably best be filled by unknowns or certainly younger actors who are yet to enter the kid-lit realm. Otherwise though, Abigail Breslin would make a decent Dana whilst Max Records, who has little scheduled after Where The Wild Things Are could come in to do Daniel. Both are perhaps a little young for the characters though and might need an older sidekick to help pull them through. After showing his range in Prince Of Persia and looking like being a good villain for The Sorcerer's Apprentice, Alfred Molina would be perfect as the book's main evil alien. It would definitely make for a averagely entertaining kiddies sci-fi adventure which, lets face it, you can never have enough of. Give it to a good director and the Tokyo setting and graphic novel inspiration could also lead to something visually interesting. Would need a real calamity to be anything less than a solid 'three starer'. Patterson actually wrote the first book for his son who he was struggling to get involved in reading, the rest of the series took off from there. Take that, trivia fans! I read it. Not that good. 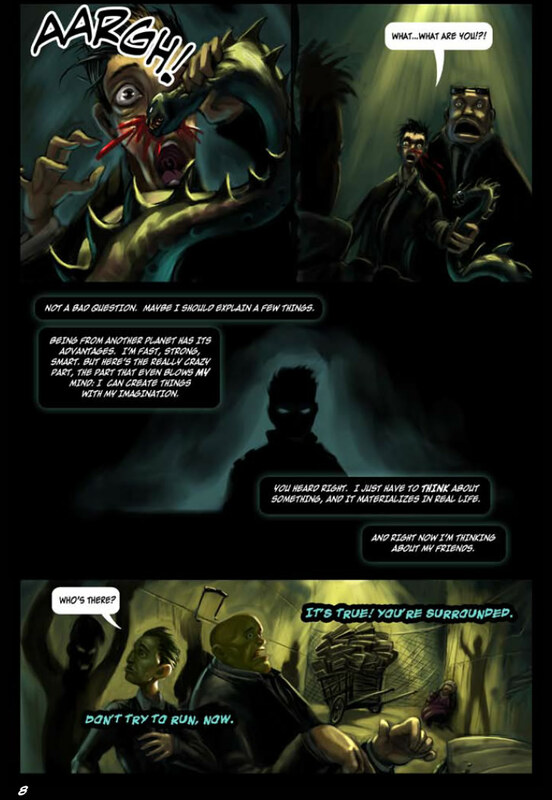 Graphics were okay, but the writing was groan-worthy to my jaded eleven-year-old mind. Yes I know what you mean. Some of it does border on that. Patterson obviously isn't a master comic book writer but I found it OK enough to be entertaining.